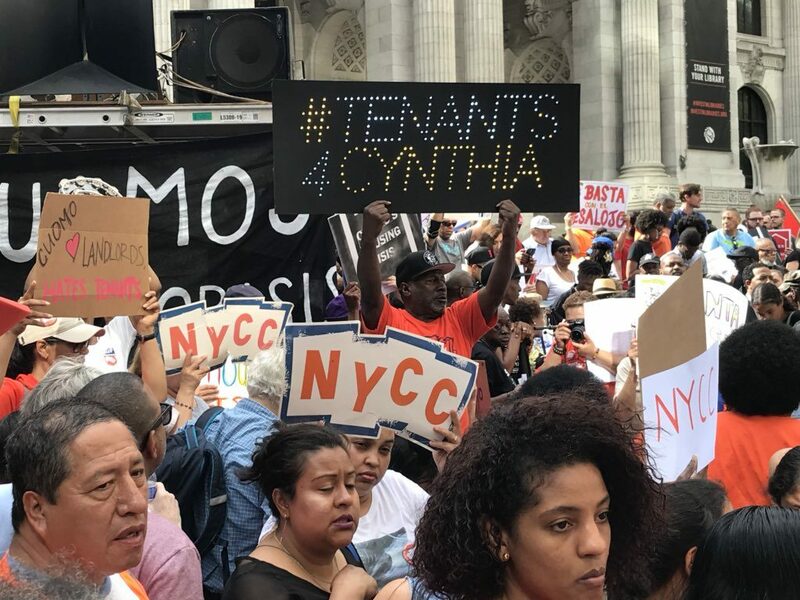 On Thursday, more than one thousand New Yorkers marched for affordable housing in a vibrant action called ”We Are the Faces of Cuomo’s Housing Crisis.” For eight years, the Democratic Governor of New York, Andrew Cuomo, has presided over an escalating housing crisis, and marchers demanded urgent action to help tenants across the state. Specifically, they called for closing loopholes in state rent laws which benefit landlords and real estate developers. The rent laws are up for renewal in Albany next year. The establishment has frequently used the renewal process to poke more holes into them, such as the “vacancy bonus,” which allows landlords to raise rent as much as 20 percent when an apartment becomes vacant, and “vacancy decontrol,” which allows landlords to remove apartments from rent regulation altogether when its rent reaches $2,700. Over 100,000 rent stabilized apartments have been lost in the eight years that Cuomo has been governor. 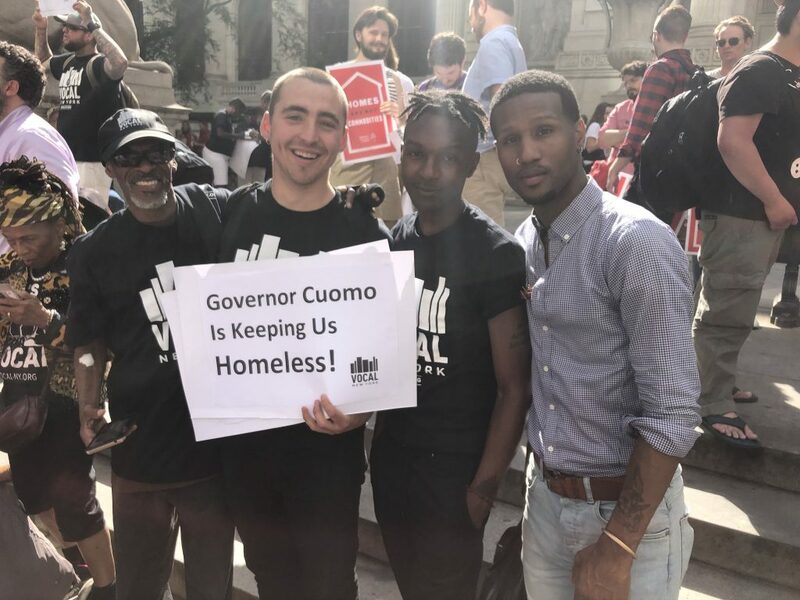 Affordable units are increasingly replaced by luxury condos and this directly contributes to the skyrocketing rents that all New Yorkers face along with growing homelessness. There are currently about 89,000 people living in shelters or emergency housing across the state, and about 400,000 facing evictions. 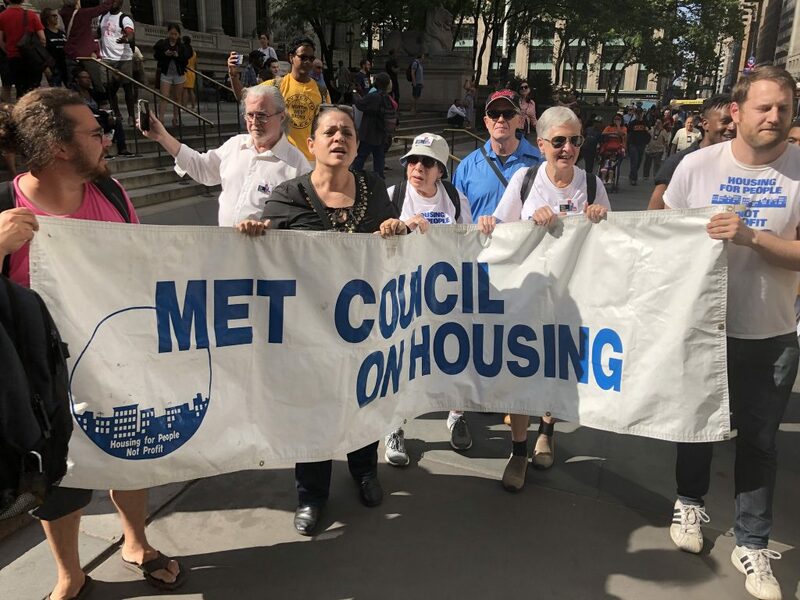 The energetic crowd voiced their anger at this crisis as well as with the developers and landlords who have made it increasingly hard to live in the City. The hunger for change could be felt as chants erupted: “No justice! No rent!”; “One, two, three, four, tax the rich and house the poor!”; “La renta sube sube, el pueblo sufre sufre!” (“The rent rises, the people suffer!”); and “Five, six, seven, eight, there’s a crisis in this state!”. The march started with a rally on the steps of the main branch of the New York Public Library, where speakers shared the life and death stakes of this issue. 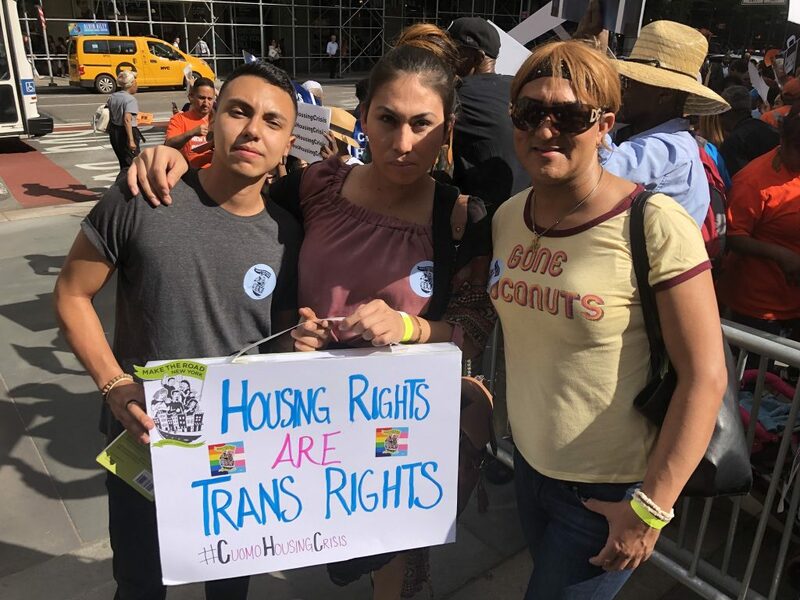 In addition to speakers from many of the important housing struggles in New York, the rally was addressed by Cynthia Nixon, who is now challenging Cuomo in the Democratic Party primary for governor. This highlights how her campaign is helping expose the corporate character of the Democratic Party establishment. 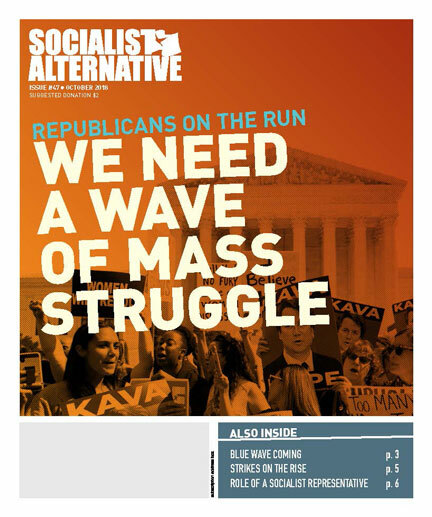 Socialist Alternative has encouraged Nixon and her supporters to go even further and to break with the pro-corporate framework of the Democratic Party entirely. It’s unlikely the Democratic Party, which is controlled at the top by Cuomo and a whole legion of corrupt officials with ties to big business, can actually be transformed into a party that genuinely represents working people. 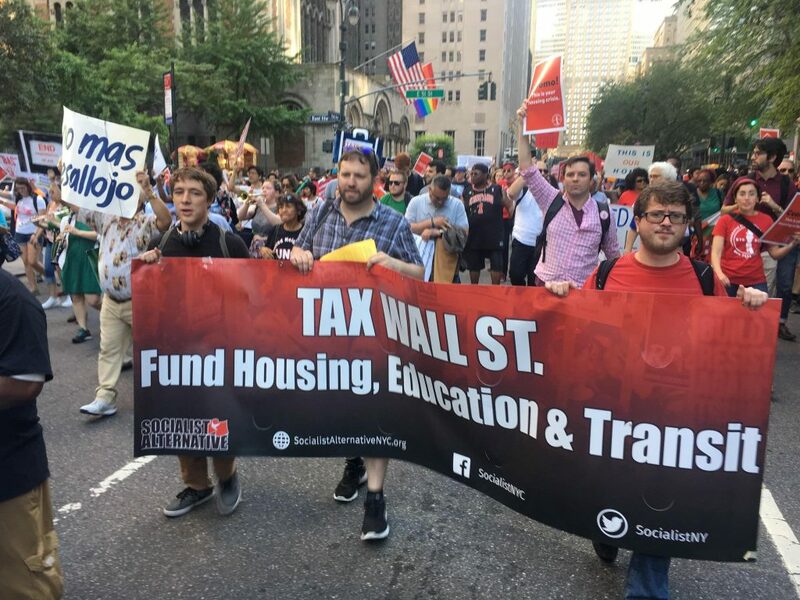 We argue that a new party, one that rejects corporate cash entirely, is needed for helping build strong movements of tenants and workers against the billionaire class and the housing crisis they created. After the speeches, the crowd weaved through the streets of midtown Manhattan. The irony of marching past some of the most expensive buildings in the world while many of the marchers expressed the difficulty of affording rent, even for a substandard apartment, could not be missed. 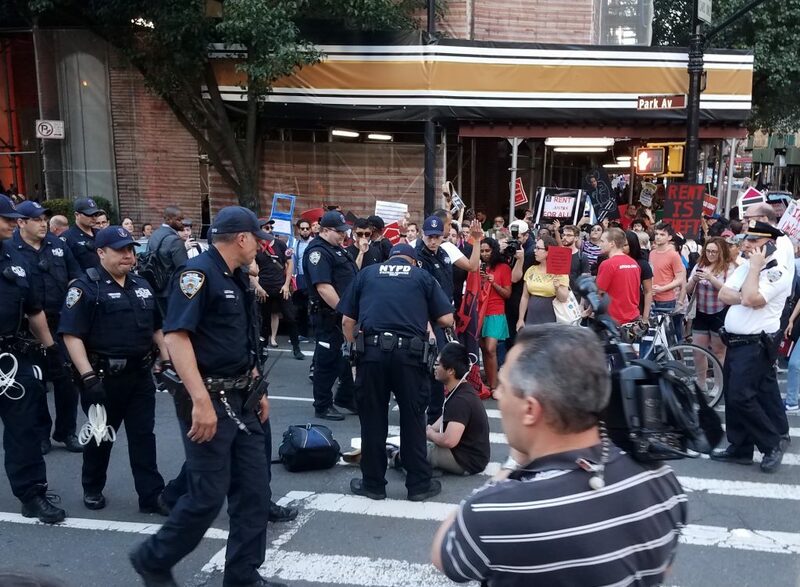 On Park Ave., between 57th and 60th streets, the march became more militant, taking over the whole east side of the street before being forced back onto the sidewalk by the New York City Police Department. At least one protester was arrested for disrupting traffic. 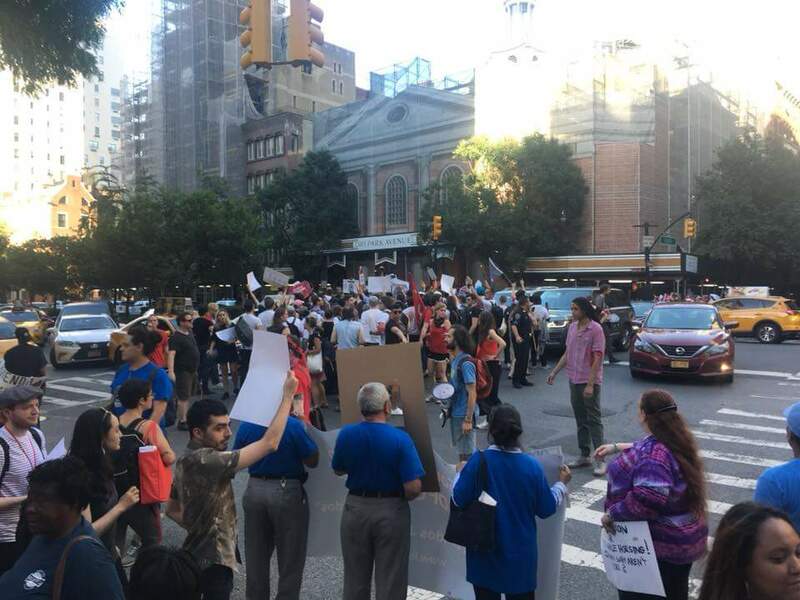 The march ended at a building on East 63rd Street where inside Cuomo was receiving an award from the Building Trades Employers Association, described by The Real Deal as a “trade group for contractors that has increasingly embraced union-free construction work.” This certainly highlighted whose side Cuomo really is on! The energetic, diverse and youthful rally drives home the point that there is a growing opportunity to build a fightback against the failing private, for-profit housing market. We need to continue organizing to build the broadest possible fight that can force Albany to close the loopholes in the state rent laws. We need to expand rent stabilization laws to cover all apartments in New York City and we need to tax Wall Street to fund affordable housing along with all needed repairs for NYCHA residents. People will continue to take to the streets so long as politicians ignore this crisis. 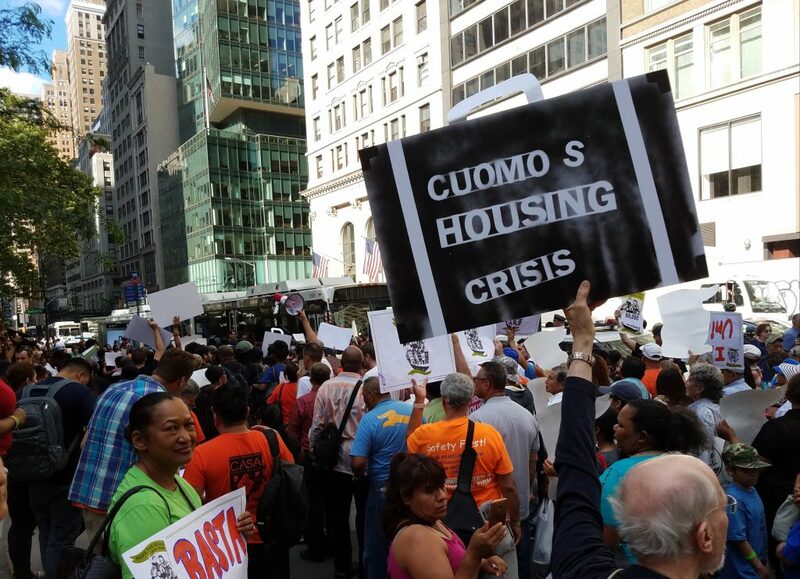 New York’s housing movement will be heard from again soon.